Welcome to our 5th annual Summer Festival of contemporary art in the Catskill Mountains! 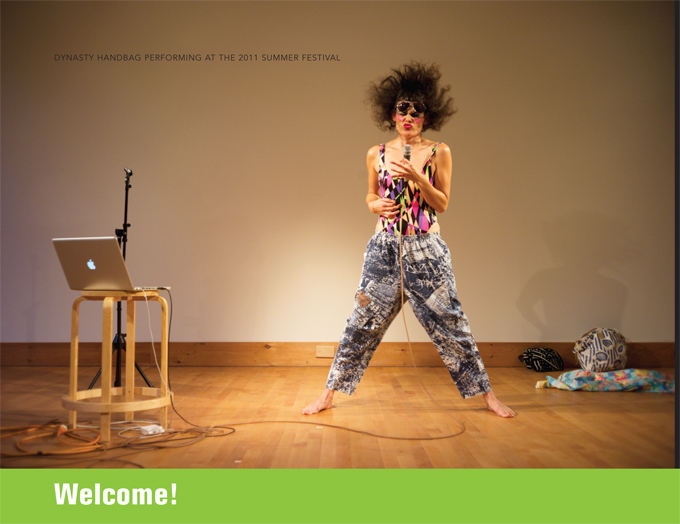 From June 9 to August 12, artists working in dance, theater, poetry, music, and conceptual and visual art will share adventurous new works developed through intensive residencies at Mount Tremper Arts. Exploratory and engaging, these performances and events reveal art as process— a process full of unexpected twists and turns, missteps, and rewards. From offering Creative Development Residencies to staging works in progress and world premieres, we at Mount Tremper Arts are dedicated to supporting the entire spectrum of artistic process. And one of its most necessary elements is you, our community. Whether waiting for a piece to begin inside our studio or discussing it afterwards around the campfire, your participation helps frame what these artworks can and will be. Art-b-q Fridays, our series of informal dinner performances, is explicitly curated to cultivate lively, enriching exchanges between artists and audience members. Throughout, these engagements and experiments are also supported and informed by the unique physical characteristics of MTA and the Catskill Mountains. Consider the Festival as a meeting point, where art and ideas converge in an intimate, localized community—that has fantastic barbecue. We hope you’ll join us for one (or all!) of these special events.